From the 1880s, to the late 1950s, there had been a 130 mile long rail line that had ambitious vision of serving two countries. Unfortunately, the line’s dream was larger than their financial situation and it never achieved the status that it had strived for. From the very beginning, the route that was planning in Canada was always put into question, due to the ever changing plans for the construction of the Canadian Pacific Railway as well as the company’s financial backing. In the United States of America it was opposition from preservers of the Adirondack Forest and the New York Central & Hudson River Railroad. Then came a moment when a new spotlight rested on the Canadian company when they planned to bridge the St. Lawrence River and operate a line between Canada’s capital and one of the largest cities in the USA, New York City. 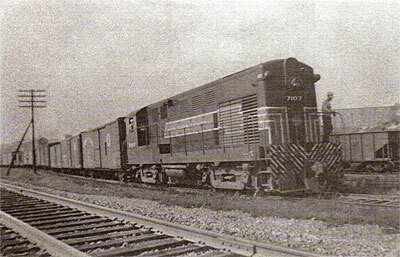 For this, the Canadian company created a partnership with the already operating American line (which had only penetrated the Adirondacks from the north end to Tupper Lake). This company had the same vision as the Canadian one and together they strove for success. That dream was never realized and it died even before they had a chance to prove themselves. 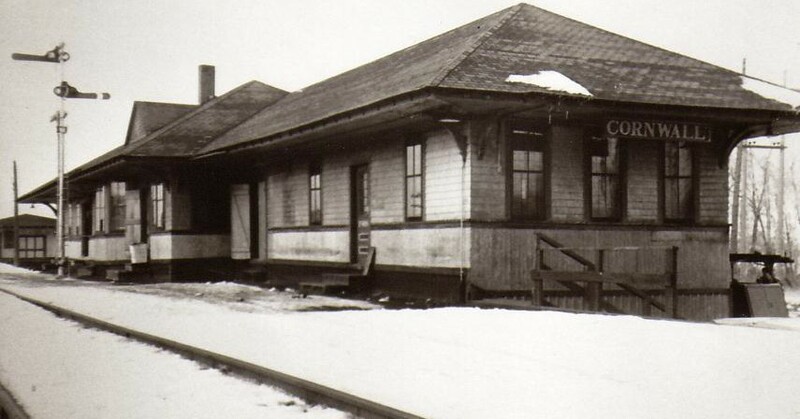 A line was built from Ottawa to Tupper Lake eventually and evolved to be a popular route for passengers and offered an alternative way to ship goods into the United States. During the 20th Century, it was the Canadian side that proved to be the source of financial gains of the entire line. Eventually the rails were abandoned in sections, today leaving three areas still in use and another on the brink of revival. I was originally exposed to this rail line as a child and heard stories from my grandmother about my great-grandfather being an employee of this particular route; that our backyard was a large switching area in Cornwall and that the train use to rumble by the house often. 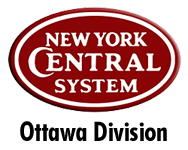 I did not start my in depth research of New York Central’s Ottawa Division until I had free time on my hands in 1997 when my son was born. I used my spare time to research my family history and was surprised to discover that two other members of my family were employees of this route, my great-great uncle and great-great-grandfather, and in 2006 I learned another greater-uncle had built the Cornwall station. I immediately became determined to find as much information as I could in relation to their employment. Although I did not find what I was looking for, I did discover that very little information existed of this secondary line and what was available was already passed to me by my grandmother previously. Since 1998, I have travelled from Cornwall, to Ottawa, to Tupper Lake and other related areas to gather what I could find concerning photographs, items, information and any other useful things that would be needed. I have met many people whom shared what they could remember of the line and was even blessed to find some documents that focussed on select locations along the way. This web page was originally put together in 2000 to help anyone who was interested in this obscure NYC line. To learn a little more about it and be aware of the nearly forgotten “third Canadian line” of the NYC. I love to share my knowledge and give presentations to those whom would like to hear it and learn even more. This site is also kind of a preview to a working publication that I have that was combined with my fellow NYC researchers (Colin Churcher, Tony Berges and Douglas Smith). The four of us had come together for a common goal, to document and make the public aware of the New York Central’s line into Ottawa. Updated: Nov. 2016 – Editted and made corrections to all pages. There will be additional pages and possibly pictures to come in the new year.